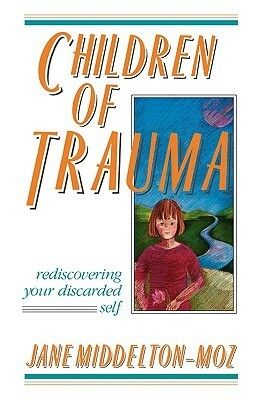 Children of Trauma by Jane Middleton-Moz is a must-read for anyone who lives with untreted childhood trauma. It is a compassionate read that may be the beginning of a whole new reframing of one's childhood that promotes mind-body-spirit healing. Jane Middelton-Moz - Jane Middelton-Moz is an internationally known speaker and author with more than forty years of experience in consultation, training, and community intervention. She is the director of the Middelton-Moz Institute. Ms. Middelton-Moz has served on the Board of NACOA (National Association of Children of Alcoholics) and the Advisory Board of NANACOA (National Association of Native American Children of Alcoholics). She has a Master's degree in Clinical Psychology and has held numerous direct service, management, and executive positions in large non-profit corporations and community agencies.Skilled at meeting the particular needs of an organization, Ms. Middelton-Moz is a dynamic keynote presenter and is known for her highly successful "hands on, participant driven " workshops. She is recognized for her work in the areas of adult children of alcoholics, multi-generational grief and trauma in individuals, families and communities, ethnic and cultural awareness, anger, cultural self-hate, differential diagnosis, values in the workplace and in families, empowering employees and creating positive work place environments.Ms. Middelton-Moz has appeared on national television shows including Oprah, Maury Povich, and Montel Williams, on the Discovery Channel, and has had her own PBS special. She has also been quoted in US News and World Report and The Washington Post business sections on issues related to the high cost of negativity, bullying, mobbing, and unhealthy anger in the workplace.